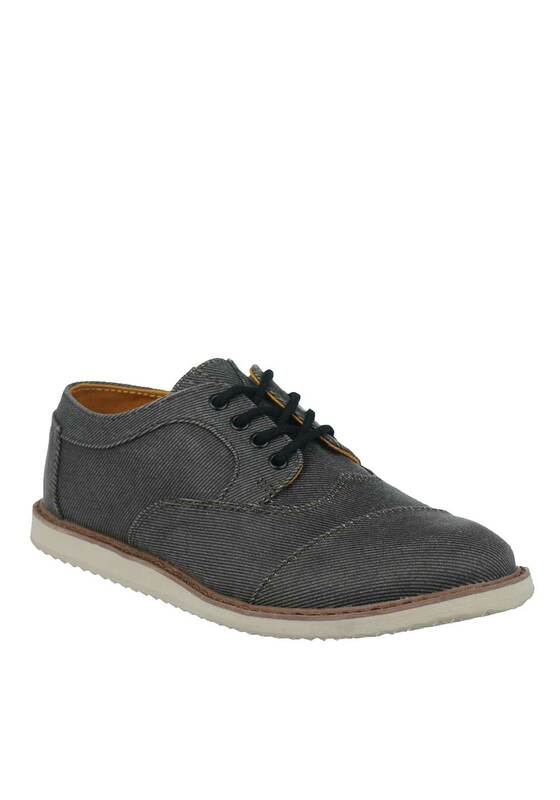 Dressy up his footwear collection with these funky grey twill brogues from TOMS that he is sure to love. A versatile pair that will look great dressed up or down and feature a serrated pattern on the rubber outsole for increased traction and comfort. They also have a removable antibacterial footbed for a breathable and comfortable fit.